Size: 366 sq.ft. - 844 sq.ft. Naiknavare Dwarka is a city within a city sprawling over a 130 acre of area in Chakan-Talegaon Road, Pune. It was launched in 2011 and is expected to be handover the complete project by 2019 with RERA registrations - P52100000163, P52100000164, P52100000168, P52100000240. Dwarka Township is parted into 3 different projects, all three projects are constructed very differently with residential towers and row houses. It has a big forest park of 3.4 acres with different type of trees and water bodies. It provides you a collection of smart monumental designs with the appropriate mixture of beauty and feasibility. It is partly ready for possession and about 2000+ families have already booked a home at this dream location. The mega city is surrounded by forest hills, waterfalls and green spaces. Dwarka City is a landmark project of Chakan where each towers and houses captures awe inspiring views with natural settings. Dwarka City Chakan is the ancient styled gated township smartly crafted with the layouts of 1 BHK, 2 BHK and 3 BHK. Around each tower you will see Plantations and green spaces Dwarka City apartments feature vitrified tiles for flooring, both side laminated door, Aluminium powder coated sliding windows with mosquito net, Concealed Electrification with modular switches, green marble kitchen platform with S.S. sink, Matt finish tile for Bathroom flooring, Red Maranti door frame shutter with night latch, Oil painted grill in kitchen, living room and bedroom. 1 Bed apartments have the carpet area of 366 Sq.ft. 480 Sq.ft of carpet area for 2 BHK homes and 3 BHK homes are having carpet area of 842 Sq.ft. This is Pune's no. 1 residential city offering vastu compliant (Feng Shui) homes at very low prices at 18 Lacs onwards. This 130 acres city is accessible from two different suburbs from Chakan and other is Talegaon Road. Chakan and Talegaon are appreciated for its industrial estates, has set up world class manufacturing plants. Chakan is conveniently located in the northern zone of Pimpri Chinchwad and Pune. Chakan was an agricultural zone and completely transformed into an urban location and also known for many industrial and automobile hubs of Pune City. Chakan, Pune has many international firms who are looking to invest as it is one of the most preferred auto mobile hubs. It has a very positive impact on Pune real estate sector for buying home in Chakan. Xrbia Eiffel City, Crystam Landmark Apoorvam, Maple Aapla Ghar Chakan are very well known residential projects in Chakan area. From last few years this destination is witnessing a lot of new developments and project announcements. The Dwarka City is located at Chakan - Talegoan Road, Mahalunge, Talkhed, Pune, Maharashtra - 410501. Naiknavare Housing Developments is a Pvt Ltd firm based in Pune City and is one of the most renowned players in Indian real estate market since 1986. 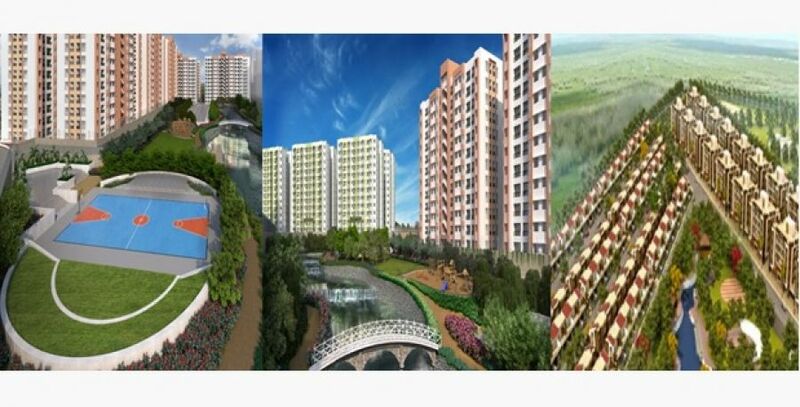 Till date the developers have developed more than 20 projects in various cities of India. They strongly believe in offering the excellent projects to its customer without compromising on its quality. Their vision is to come up with more residential, commercial, hotels and business spaces. The projects by the developer are Eminence, Eagle's Nest, Shravandhara, Avon Vista, Swarvihar, Neelaya, Seasons Business Square, The Spires are new and ongoing projects. Town Square, Imperial Residence, Mystique Moods, Sylvan Heights, Victoria Garden, Swapnapurti, Lakeshore Residency etc are the completed projects. The business policies of Naiknavare are transparent & honest and responsibly contribute back to the society. Indulge yourself into an array of amenities of Dwarka City - Sports Ground And Sports Centre, A Big Auditorium Of 700 Seats, Forest Garden, Multipurpose Court, Amphitheatre, Jogging Track, Water Body with Fountain, Children’s Play Area, Club House with Multipurpose Hall, Table Tennis, Gym, Society Office, Vehicle Free Podium with Landscaped Garden, Skating Rink, Toddlers Play Area, Senior Citizen Area, Yoga Centre, Recycled Water For Flushing & Gardening, Ample Parking Space For 4 Wheelers, Wet Garbage Disposal with Organic Waste Convertor, Rainwater Recharge Bore Wells etc. School/Colleges(s) - The Dwarka School, Dnyanvardhini English Medium School, AMS English Medium School, D Y Patil Engineering & Medical College Pimpri, Siddhant College, Kharabwadi School, Poddar School. Bank/ATM(s) - HDFC Bank, Bank of Maharashtra, IDBI Bank. Hospitals - Mahalunge Hospital, Shivkrupa Hospital, Shree Smarth Clinic, Shri Smarth Clinic. Restaurants - Pizza Planet, Chetan Dhaba, Hotel Nisarg Goodluck, Blue Sahara Restaurant. Shopping Malls/Supermarkets - Dwarkadheesh Supermarket, Aishwarya Icon Mall, Suraj Super Market, kundeswar super market, DM Bazar, Jai Hanuman Supermarket. Corporates - Talawade IT Park, Chakan MIDC, Talegaon MIDC. Airports - Pune International Airport.